Assam will host its first global investors summit in February to showcase its manufacturing opportunities and geostrategic advantages to foreign and domestic investors. Industrialists Ratan Tata and Mukesh Ambani will be amongst those participating in the February 3-4 ‘Advantage Assam: Global Investors Summit 2018’, which will be inaugurated by Prime Minister Narendra Modi. 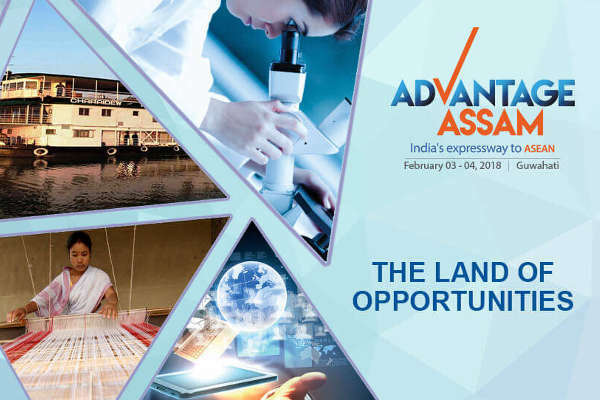 “The event will showcase the manufacturing prowess and the opportunities offered by Assam in terms of export-oriented manufacturing and services to growing economies like ASEAN and South East Asian countries,” Chief Minister Sarbananda Sonowal said. The summit aims at highlighting Assam’s geostrategic advantages and core competencies in different sectors and policy initiatives taken by the state government. Sonowal said the Prime Minister’s special focus for the development of the Northeast and his multiple initiatives for the region will be the basis for the success of the summit. The state has identified a number of focus sectors, including agriculture and food processing, organic cultivation and bamboo, handloom, textile and handicrafts, inland water transport, port township and river front development and logistics. Other focus areas include information technology and IT-enabled services, pharmaceuticals and medical devices, plastics and petrochemicals, power, tourism, hospitality and wellness, petroleum and natural gas and civil aviation. As a precursor to the main event, roadshows are being organised at various domestic and international locations to invite investors to the summit and also showcase the business potential and investment opportunities in the state. “Roadshows held in Delhi, Kolkata, Mumbai, Toronto, Sanfrancisco, New York, Tokyo, Seoul and Singapore have already generated very positive response from the investors,” said Hrishikesh Goswami, media advisor to the Chief Minister. “Very aptly, ‘India’s Expressway to ASEAN’ has been chosen as the tagline of the summit,” he added. The government is planning a roadshow in Bengaluru on December 19. The summit is expected to attract a number of international business delegations apart from domestic investors. Around 2,000 industry leaders and representatives from India and abroad are expected to participate. The Chief Minister has had one-to-one meetings with top industrialists, including Tata, Ambani, Adi Godrej, Kishore Biyani, Gautam Singhania, Harsh Mariwala and Subhash Chandra. He has invited them to invest in Assam, Goswami said.